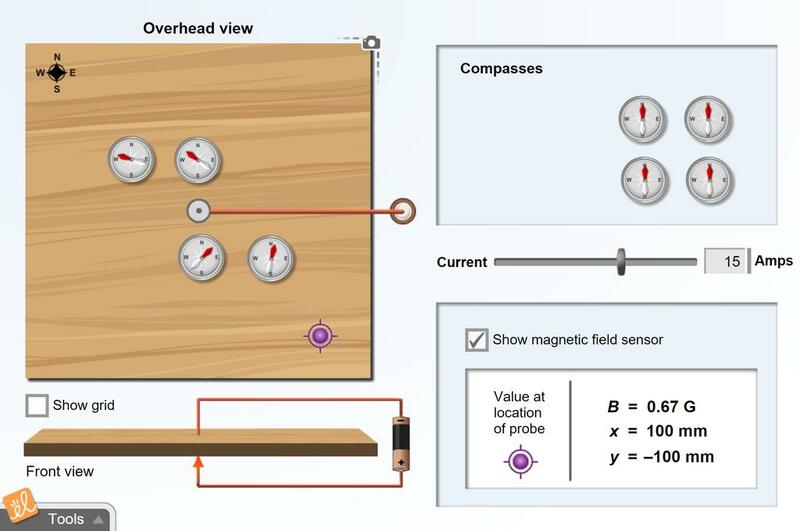 Measure the strength and direction of the magnetic field at different locations in a laboratory. Compare the strength of the induced magnetic field to Earth's magnetic field. The direction and magnitude of the inducting current can be adjusted.